ASCAP (the American Society of Composers, Authors and Publishers) will present Grammy Award winner and Songwriters Hall of Fame Inductee Desmond Child with its prestigious ASCAP Founders Award at the 35th annual ASCAP Pop Music Awards in Los Angeles on April 23, 2018. From Aerosmith to Zedd, Child's genre-defying collaborations include some of pop's biggest hits over the last five decades including classics like "Livin' On A Prayer," "You Give Love A Bad Name," "I Was Made For Lovin' You," "Dude (Looks Like A Lady)," "Livin' La Vida Loca," "I Hate Myself For Loving You," "Poison," "Waking Up In Vegas" and "Beautiful Now." Celebrating his 40th anniversary as a member of ASCAP, Child has penned over eighty Top 40 hits (rock, pop, Latin and country) and serves as the Chairman / CEO of the Latin Songwriters Hall of Fame. "… Mr. Child is one of the most successful songwriters of the last 30 years." - The New York Times. His autobiography, Livin' on a Prayer: Big Songs Big Life, co-written with David Ritz, is scheduled for release this fall. "Desmond is one of the most respected and successful songwriters in the world," said ASCAP President Paul Williams. "His unique ability to capture the essence of our lives through song — whether we're livin' la vida loca or livin' on a prayer — is simply unequaled. We are honored to present Desmond with the ASCAP Founders Award in recognition of his towering achievements. With #1 hits spanning five decades now, Desmond surely has many more milestones still to come." Child's peers also are some of his biggest fans. KISS' Gene Simmons once said, "Desmond is the perfect songwriter. Neither styles in music nor trends and fads have ever held him back from doing what he does best, which is craft a song like nobody else." Aerosmith's Steven Tyler said, "The guy's a f**king genius!" Reflecting on Child, longtime collaborator Jon Bon Jovi has said, "The Desmond you don't know about is the one who not only taught me the next level of songwriting but so many of the true aspects of friendship: truth, honor, and loyalty." This month, Desmond launched a new performance series "An Evening With Desmond Child" directed by Richard Jay-Alexander to rave reviews. Broadway World said, "There are many people who try to rock and pop...but Desmond Child is the REAL DEAL." The sold-out, three night premiere engagement at Feinstein's/54 Below in New York City featured the original members of his hit band, Desmond Child & Rouge including Maria Vidal, Myriam Valle and Diana Grasselli. The ASCAP Founders Award goes to pioneering ASCAP songwriters who made exceptional contributions to music by inspiring and influencing their creative community. Each songwriter is a musical innovator with a unique style of creative genius. Past recipients including Sir Paul McCartney, Burt Bacharach, Hal David, Stevie Wonder, Tom Petty, Patti Smith, James Taylor, Smokey Robinson, Aerosmith's Steven Tyler & Joe Perry, Billy Joel, Neil Young, Steely Dan'sDonald Fagan and Walter Becker, Carly Simon and Heart's Ann and Nancy Wilson to name a few. 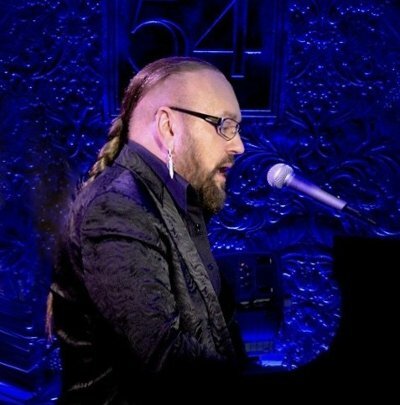 For five decades, Desmond Child's songwriting and/or production credits have appeared on high-profile projects by artists such as Bon Jovi, KISS, Aerosmith, Cher, Alice Cooper, Meat Loaf, Katy Perry, Kelly Clarkson, Carrie Underwood, Garth Brooks, Trisha Yearwood, Selena Gomez, Sia, Mickey Mouse, Kermit The Frog and many more. Having grown up in Miami Beach, Florida, his first big break came with the group Desmond Child & Rouge which was formed in New York City while attending N.Y.U. The group recorded two albums for Capitol Records, and their first single "Our Love Is Insane" became a dance club classic. He soon focused on his songwriting and was recruited by KISS' Paul Stanley to pen songs for their Dynasty album. That affiliation led to Child joining the Bon Jovi songwriting team for some of their biggest hits, including "Livin' On A Prayer", "You Give Love A Bad Name" and "Bad Medicine," that set up his work with Aerosmith on a handful of hits like "Dude (Looks Like A Lady)," "Angel," "What It Takes," and "Crazy." Throughout the '80s, additional artists such as Alice Cooper ("Poison"), Joan Jett ("I Hate Myself for Loving You"), Michael Bolton ("How Can We Be Lovers"), and Cher ("Just Like Jesse James," "We All Sleep Alone," "Save Up All Your Tears," etc.) kept Child at the top of the charts, and in the late '90s, his songwriting collaboration with Draco Rosa for Ricky Martin gave the pair the modern standard "Livin' La Vida Loca" as well as the international hit "The Cup Of Life" that charted #1 in 22 countries. Child was inducted into the Songwriters Hall of Fame in 2008 and became Chairman/CEO of the Latin Songwriters Hall of Fame in 2012. His autobiography, Livin' on a Prayer: Big Songs Big Life (co-written with David Ritz) will be released this year. The full list of songs written by Desmond Child that reached the top ten on the Pop, R&B, Adult Contemporary, Rock and Dance charts.